Paul’s concluding exhortations center around two themes: prayer and witness. These exhortations are personal, not general, and Paul includes an appeal that they would pray for him as he witnesses wherever he goes. This section provides a fine complement to the sweeping gospel-vision he proclaimed in 1:6: “The gospel is bearing fruit and growing throughout the whole world.” And how does it bear fruit? Through the proclamation of Spirit-empowered people like Paul, Timothy, and Epaphras. His first command is to be devoted to prayer. One of the core values of the Christian & Missionary Alliance, the denomination of which I am a part, is “prayer is the primary work of God’s people.” Prayer is the first course of action for the believer, and nothing of kingdom value is accomplished without it. Our devotion to prayer must be greater than our commitment to plan and strategize, for it is only through prayer that the plans of God’s people succeed. When our first impulse in any situation is to pray, then worry and anxiety will be unable to take root in our hearts. Within prayer, believers are to be both watchful and thankful. The object of our watchfulness is uncertain. Perhaps we are watching for the Lord’s return. Perhaps we are watching out for the works of the evil one. Could it be that we are to be watching for answers to our prayers? Whatever Paul had in mind, all three of these forms of watchfulness are beneficial for the Christian. But his point is well made: prayer requires follow through. Prayer does not exist in isolation from the rest of our lives. Rather, when we pray, we must watch for God’s activity, and be thankful when we see him move. Paul asks the Colossians to pray for him and his team, specifically. He is eager for God to “open a door” for the Gospel. He is also careful to request prayer that, when God opens the door, he would be able to proclaim the Gospel clearly. Even the great evangelist, seasoned as he was at this point in his life, depended on God to provide both opportunity for the Gospel and clarity in his preaching. Who are we to imagine that we can be effective ministers of the Gospel without prayer – whether they be our own prayers, or the prayers of others. It is interesting that Paul asks for the Colossians prayers regarding the clarity of his preaching. Boldness, relevance, and even humor are all good things when it comes to proclaiming the good news of Jesus, but nothing is more beneficial to listeners than clarity. Christians need to be smart about the way they live, because every aspect of their lives is a presentation of Christ to those who do not know him. Everybody needs the Gospel. Everybody needs to know the mystery of God that has finally been revealed. This is good news! And this message has been entrusted to the Church – not just the apostles, but every man, woman, and child who calls on the name of Jesus. The people of the Church must be prepared to proclaim the message of the Church at all times. Only God knows when the next Gospel opportunity will come your way. But the manner in which we proclaim the message is a reflection of the message itself. The message of grace must be communicated graciously. Therefore, the last of Paul’s concluding exhortations is, “let your conversation always be full of grace.” Believer’s interactions with outsiders must be characterized by wisdom and grace. The only way to draw someone to Christ is through kindness. When we have a combative attitude toward those who believe differently than us, we will respond to them in ignorance. It is impossible to communicate the Gospel in a demeaning, harsh way. The manner in which we proclaim the Gospel message is a reflection of the message itself. Paul’s concluding exhortations on prayer and witness are vital for believers to grasp, particularly as Western Christians enter a world that is increasingly antagonistic to our faith. In this mass-media age, what is needed more than ever is Gospel proclamation that is both gracious and clear. We cannot afford to be muddy in our communication of what God both requires and offers. There are so many messages coming at us from all directions. The Church must clearly present the truths of the Gospel. This means that we cannot let the sacred truths of the Gospel be bound up with cultural myths or political positions. It is these beliefs, not the Gospel itself, that cause us to become harsh, arrogant, petulant, and condescending toward outsiders. The true message of Christ leads us to love and graciousness. When we hold politics and culture in higher regard than the Gospel – or, indeed, when we can’t see the difference between them – we become fools in the worst sense. That is, we become fools, not to the world, but to God, because we have fouled up his message and acted ignorantly toward outsiders. But when we live from a place in which Christ has the central place, and all else is submitted to his authority, we will act with wisdom and grace to all. [i] Wright, N.T. (1986). 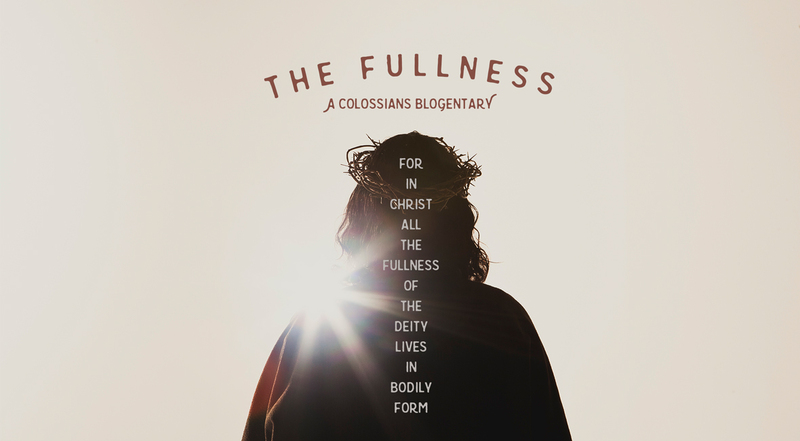 Tyndale New Testament Commentaries: Colossians and Philemon (p.157). Downers Grove, IL: IVP Academic.